HUNTSVILLE, AL March 22, 2012 GE Intelligent Platforms today announced the IVD2010 and IVD2015 Rugged Intelligent Vehicle Displays. 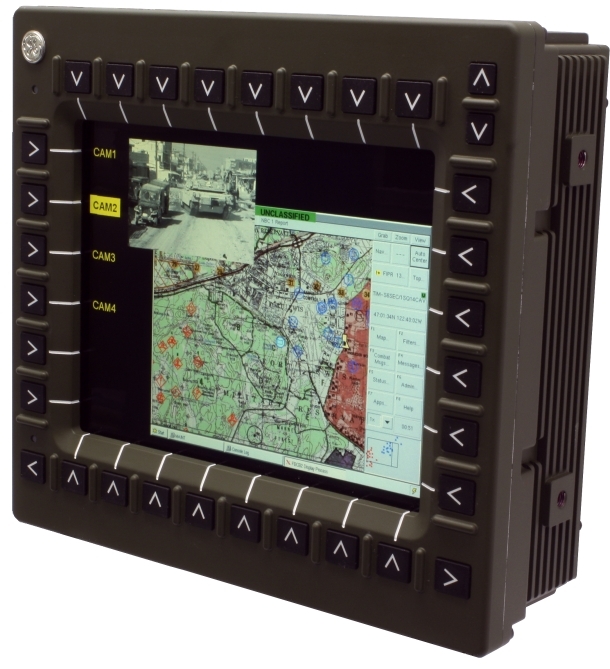 They are designed for deployment in harsh environments such as tanks and other ground combat vehicles for applications including embedded training, 360° situational awareness, terrain visualization and FBCB2 (Force XXI Battle Command Brigade and Below) as well as commander and gunner display consoles. Both integrate advanced processing capabilities to deliver a complete, self-contained, COTS (commercial off-the-shelf) display solution with a high TRL (Technology Readiness Level) that enables prime contractors and OEMs to shorten time to market, minimize program risk and more easily add value to create competitive advantage. The IVD2010 and IVD2015 also include the advanced thermal management capabilities necessary for deployment in confined spaces. The 10.4” screen IVD2010 and 15” screen IVD2015 XGA (1,024 x 768) resolution smart displays both incorporate not only an Intel® Core™2 Duo processor operating at 2.26GHz but also a 96-core NVIDIA® GT 240 GPU (graphics processing unit). Together with 4GBytes of SDRAM3 memory and four simultaneous video inputs, this equips them to handle the most demanding, sophisticated graphics applications such as picture-in-picture and symbology overlay, stitching multiple videos into a single panorama and allows high performance GPGPU applications to be deployed directly on the display unit. Both the IVD2010 and IVD2015 also include display features designed to deliver optimum screen visibility and usability, thereby maximizing personnel effectiveness. These features include LED illumination for sunlight readability and MIL-STD-3009 NVIS (Night Vision Imaging System) compatibility; a multitouch resistive touchscreen; and a high quality optical stack-up with toughened glass. Optionally available for each Intelligent Vehicle Display are a 10 Gigabit Ethernet interface, allowing them to integrate directly into the backbone networks of future vehicles, and high performance encrypted solid state disk storage modules (up to 256GBytes) with fast purge capability for optimum security. Additional options include CANbus/MilCAN and MIL-STD-1553 interfaces.